In one of the busiest shopping complexes in downtown Lima, thousands of Peruvians squeeze past each other in narrow corridors and jockey for space in tiny rooms. Music blasts from stalls as shopkeepers try to lure customers with their seemingly infinite rows of goods. The smell of food and plastic lingers in the air. 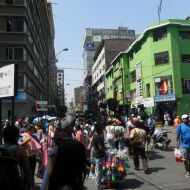 This is Polvos Azules, an epicenter of retail activity in Lima and a place often referred to (in oxy moron) as the city’s “official informal market.” Legend has it that Polvos Azules, Spanish for “blue powders,” got its name in the 1540s from the material used by leather artisans to dye their skins on a small street behind the Presidential Palace. Five centuries later, the capitalist spirit embodied by those early merchants is alive and well, their leather goods replaced by faux-Levis jeans and bootleg Magic Mike DVDs. 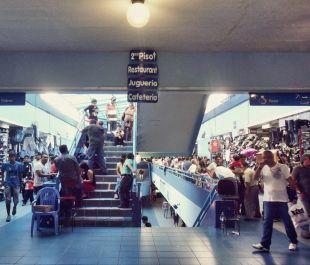 Lima is a city where the formal and informal are naturally spliced, a condition exemplified nowhere better than the bustling and raucous stalls of the Polvos Azules. 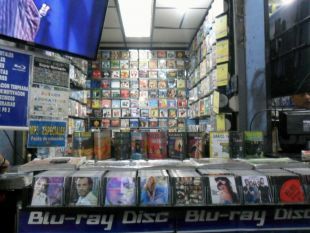 In the 1980s, semi-ambulant vendors began congregating in Polvos Azules, selling Walkmen and VHS video tapes, and eventually growing in number to upwards of 5,000. In the early ’90s, they organized, forming the Association of Owners of the Polvos Azules Commercial Center. The association negotiated a relocation program with the city, and built a large shopping complex with 2,400 stalls. 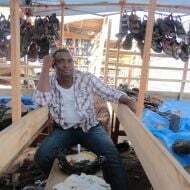 Today that shopping center is one of the city’s biggest retail destinations, and a major source for pirated electronics, knock-off clothing and contraband shoes — despite being located just three blocks away from the country’s Supreme Court building. Polvos Azules is a study in contradiction. 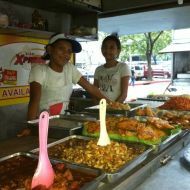 According to Gestión, a local business newspaper, 90 percent of its stores are “formalized.” They pay taxes (to some degree) and adhere to basic safety standards. The shops are fully licensed by the city, and much like Lima in general, the building itself has been gradually transforming into something that, at least visually, appears formal and regulated. Dirt floors have been upgraded with ceramic tiling, many of the stores now take most major credit cards, and even Interbank, one of the country’s largest banks, has opened a branch inside the sprawling complex. But this drift toward aesthetic formality hasn’t changed the fact that the vast majority of the inventory at Polvos Azules continues to flow in via the black market. What’s more, data and anecdotal evidence suggest that its customers prefer it this way. 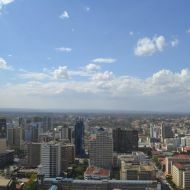 A recent study found that on average, the market boasts almost four times as many sales per square meter as Jockey Plaza, one of the city’s largest upscale malls. And unlike Jockey Plaza, a dazzling edifice filled with high-end boutiques and department stores, Polvos Azules merchants offer low prices and the option of haggling. According to several shoppers interviewed there, both of those aspects are a big part of its appeal. One customer summed it up by saying he goes to Polvos because “it’s cheap and not unsafe.” The market also caters to niches that more commercial shopping outlets don’t. Certain stores deal exclusively in Japanese manga and anime, for instance. Some specialize in old TV shows. Others sell adult movies. 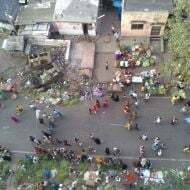 Yet even as Polvos, like the city around it, has inched toward formalization, workers there continue to operate without labor protections, and many are wary of talking about what they do. Amanda, a short and slender woman in her forties who has owned her four-meters-square space at Polvos for the past twelve years says she still gets a hard time from city officials. “I’ve gotten into trouble with the public prosecution’s office for selling Nike and Adidas replicas,” she says sheepishly, surrounded by Lacoste and Tommy Hilfiger knockoffs. 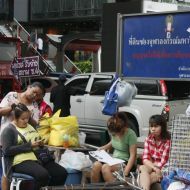 The market is raided by the police from time to time despite the fact that the city tacitly approves of its existence. Yet even the raiders seem ambivalent — informants inside the police department alert shopkeepers days before the raids take place so they can store their pirated items. “Actually, we’re missing them today because we usually have a visit from them on December 15, and today is the 15th, and still nothing,” says Amanda, poking her head out of her stall and glancing down the long hallway. Over the past decade several attempts have been made to further formalize Polvos Azules and provide better working conditions inside the market. In 2006 the International Labour Organization launched a program to provide microfinance, health care and technical training to its workers. But Mario Tueros, who headed the ILO project, tells me they had a hard time executing it. 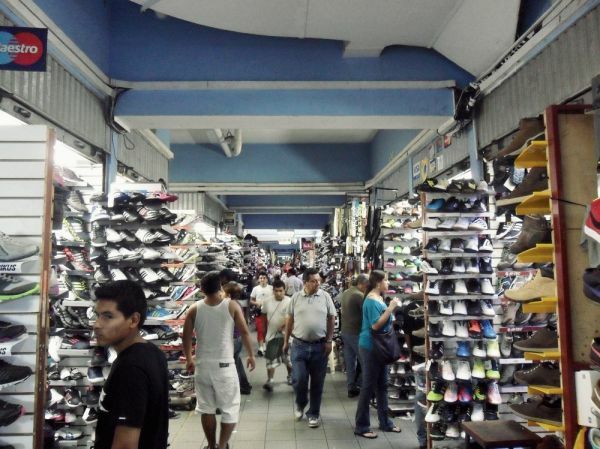 The Municipality of La Victoria, the district in which Polvos Azules is located, did not respond to inquires as to why the city continues to issue permits to a market that sells illegal goods. A call to INDECOPI, Peru’s intellectual property protection agency, also led nowhere — the person who answered the phone said most of the officials were on vacation for the holidays. The lack of official concern is telling. In many respects, Lima is a place where piracy has become institutionalized. Most Peruvians purchase illegally sold items in one form or another. In that context, the enduring popularity of Polvos Azules isn’t hard to understand — not only does it offer “brand-name” goods for a fraction of the price, it generates employment for 5,000 residents, according to an estimate by the ILO. And it’s not just a hit with locals. Amanda says that in the run up to Christmas, tourists from countries where bootleg goods are harder to find stock up at Polvos Azules before heading back home.